US President Barack Obama declared North Korea a threat to the US and South Korea and warned it to disarm or face isolation. The stern words came as the South Korean president arrived in Washington to an unusually warm welcome. "The choice is clear for North Korea: If Pyongyang continues to ignore its international obligations, it will invite even more pressure and isolation,” Obama said, as quoted by Reuters. “If the North abandons its quest for nuclear weapons and moves toward denuclearization, it will enjoy greater security and opportunity for its people." 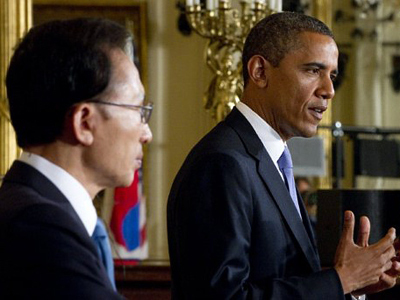 Obama and South Korean leader Lee Myung-bak spoke on Thursday during a welcoming ceremony in the White House, where they pledged to strengthen trade and security ties. More than 28,000 US troops remain based in South Korea as a deterrent against any future threat from Pyongyang. Meanwhile, with Lee away in Washington, Seoul stepped up its combat readiness amid fears of a provocation from North Korea. 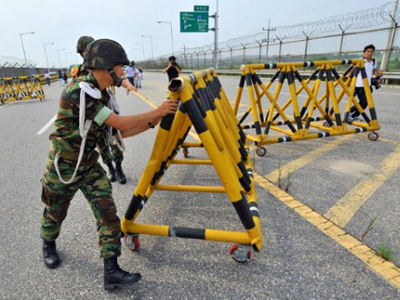 The South Korean military said it had detected “unusual military movement” by North Korea’s armed forces along the tense western sea border, Yonhap news agency reported, citing officials in Seoul. According to the report, Pyongyang relocated a ground-to-air missile to a position north of South Korea’s northernmost island of Baengnyeong. 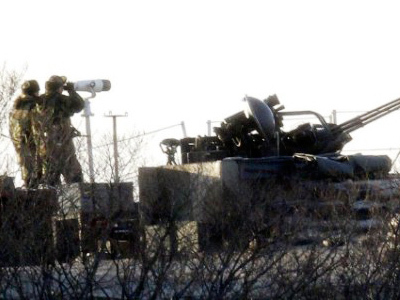 It also moved the missile's movable launching pad to a missile base near the western sea border. Lee’s visit also comes as opposition has grown to South Korean plans to build a controversial naval base on Jeju Island. Given the close ties between Seoul and Washington, it is “very obvious” that the US navy will use this base, Rudiger Frank, an expert on North Korea and professor at the University of Vienna, told RT. He explained that it might be used as a part of missile defense shield against long-range ballistic missiles which might come from North Korea or further up north. And it also should help the South Korean navy project its power in the region. 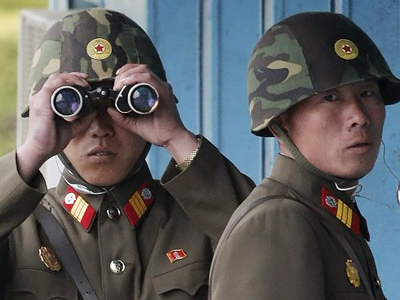 In October, Pyongyang expressed fury over continuous incursions by South Korea’s navy into its sovereign waters. As North Korea noted in an official statement, in September alone Seoul’s military vessels were detected 80 times in North Korean territory. During a welcoming ceremony in the White House, Obama said that the US-South Korean alliance is “unbreakable.” Lee remarked that the recently ratified trade act between the US and South Korea “opened a new chapter” in relations between the two countries. Later in the day the White House will host an elegant dinner in honor of the South Korean leader. He will also be treated to a road trip to Detroit with Obama to jointly tour a General Motors factory. Lee, America’s staunchest ally in Asia, is expected to address the US Congress, which would make him the first South Korean leader to do so in 13 years. Lee last visited Capitol Hill in June 2009. 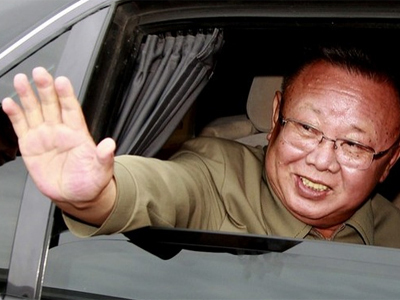 According to Senate records, the last address by a South Korean president to a joint meeting of Congress was more than a decade ago, when Kim Dae-jung took the podium in June 1998. As the records makes clear, an invitation to address a joint session of Congress is a rare honor. The ceremonial honors come as Congress ratified a long-awaited trade deal between the two countries. The free-trade agreement is expected to generate tens of thousands of jobs for Americans and to boost US trade in the Asia-Pacific region. "With our landmark trade agreement, we will bring our nations even closer, creating new jobs for both our people and preserving our edge as two of the most dynamic economies in the world," Obama declared. It took four long years to ratify the deal, which was first outlined in 2007.The agreement still needs to be approved by the South Korean parliament. If ratified, it will be the biggest US trade pact since the North American Free Trade Agreement with Canada and Mexico went into effect in 1994. 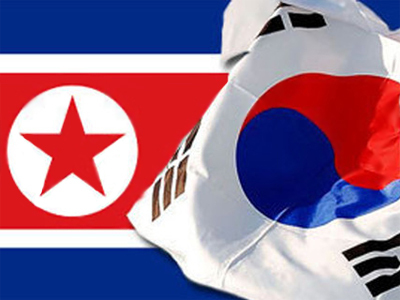 However, Korean opposition parties are demanding revisions to the deal, claiming that it favors the US.